Hand Painted Marble: MDF altar-made to look like Marble, using tradional methods and a lot of know how, plus a lot of practice. Here is my step by step guide on how to acheive this look. How To Create Lapis Luzuli With Paint. 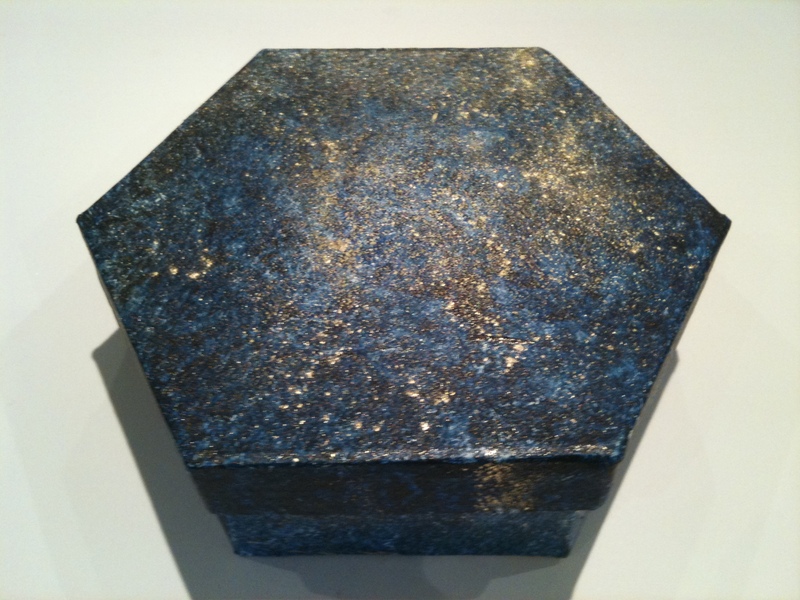 Creating Lapis Luzuli: This is how to create a Lapis Luzuli effect with paint. First paint your chosen piece in a primer and allow to dry. Once it has dried give it 2 coats of white soft sheen emulsion and again allow to dry. Next we get some artist acrylics in the colours ultramarine blue and a raw umber which again can be bought from a good art shop. We mix these together with a few drops of water. Then you need to cover the whole surface, to do this dab the mixture on to the box fidgeting the brush as you go, to give a patchy finish. Next take some crumpled newspaper and dab randomly all over, to break up the colour leaving a dappled surface. Then you need to soften the effect. This is done with a soft brush by gently feathering the finish to soften the sharp edges of the glaze. Then with a little gold powder which you can get from a good art shop spatter on to the surface, be careful not to use to much, less is more. Allow to dry then apply a spray clear satin varnish to protect it and give its Lapis Luzuli luste. This is how to create Lapis Luzuli with Paint. Thanks for taking the time to read this how to. If you would like to get in touch about a project you might want looking at ie kitchen paint or any specialist paint finishes you can reach me via info@jsdecor.co.uk. i also write a monthly column for the Lancashire magazine where you can find hints and tips there.